Just four years ago, I picked up a DSLR for the first time shortly after my first son was born. Like most new parents, I wanted to capture the highest quality shots I could of the new center of my universe. Unlike many parents, however, I was determined not to fall into the trap of buying a fancy new camera and then eventually letting it gather dust in the closet. For a couple of years, I shot a copious amount of baby pictures, along with a handful of images of my other love, aviation. 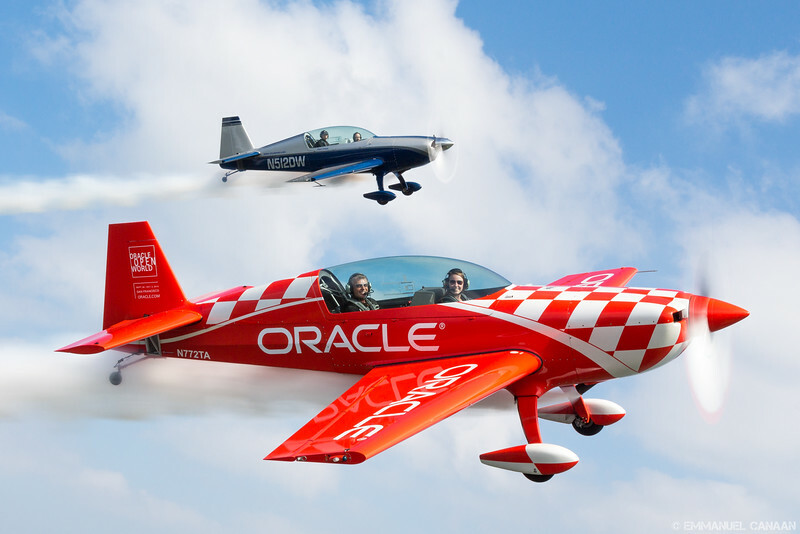 Thanks to connection through my employer, I had my first chance to fly with the aerobatic superstars Sean D. Tucker and Brian Norris of Team Oracle in June 2012. 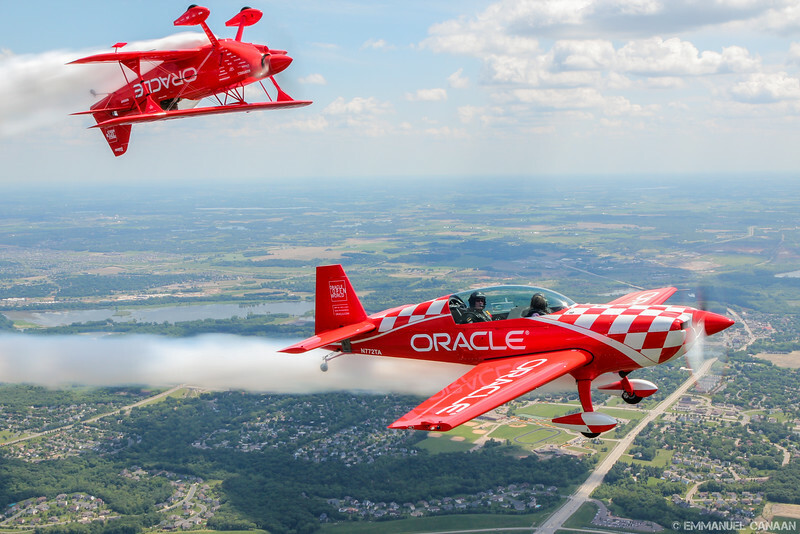 Suddenly I was going from photographing children, and the occasional airplane, to doing an air-to-air shoot with some of the most talented aviators in the world. I simply couldn’t believe what was happening to me. Not only was I getting to fly thousands of feet above the ground in an aircraft with no door, but I was getting to take pictures too? “Me? Little old me? I can’t do this. They should find someone better to do this,” I thought at the time. 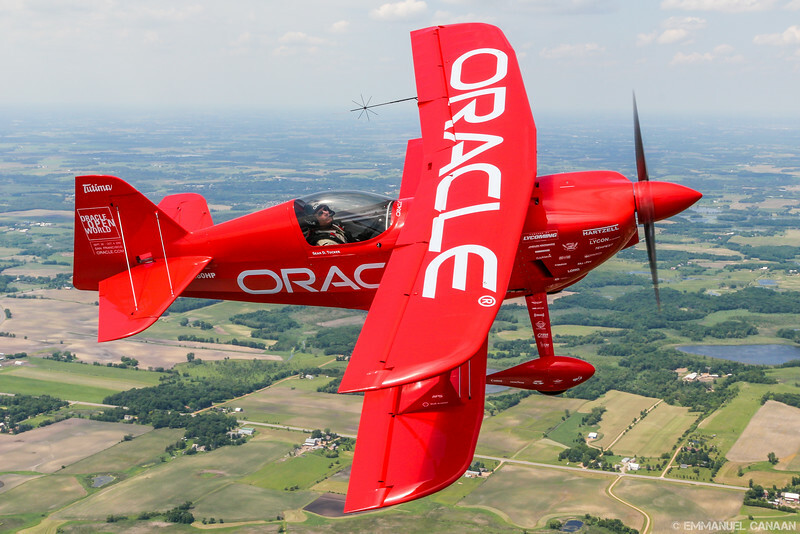 I took hundreds of shots that day, shipped them off to Team Oracle, and thought nothing more of it. A year later, I was contacted by Air and Space’s photo editor. They wanted one of my shots. “What?! But it’s a bad shot. The composition is bad. The front seat rider has her head turned the wrong way. The lighting isn’t perfect. 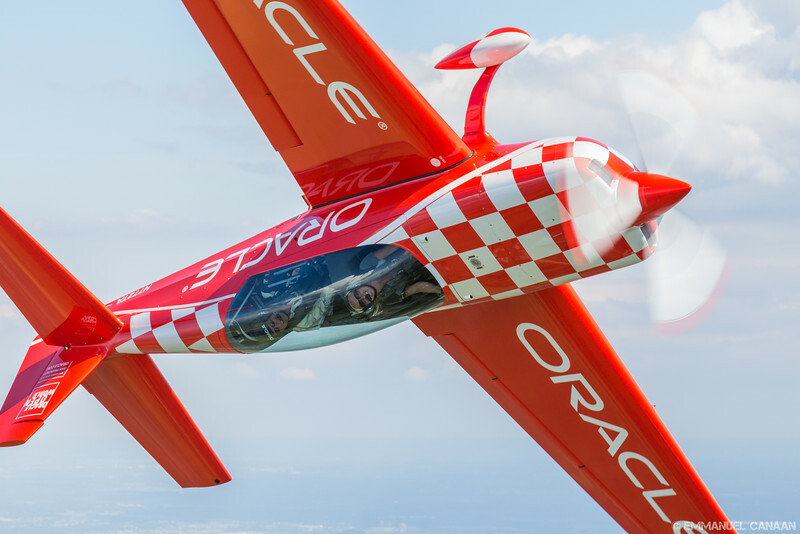 The aircraft at the top is too close to the edge for me to level the horizon,” I thought to myself. That moment taught me an important lesson about photography; it’s not always about technical perfection. The moment can matter even more than the image quality. I had a shot that illustrated what they wanted, and that was all that mattered. For many amateur photographers, getting an image published in a magazine is a dream come true. My reaction wasn’t any different. I simply couldn’t believe that I could do that. 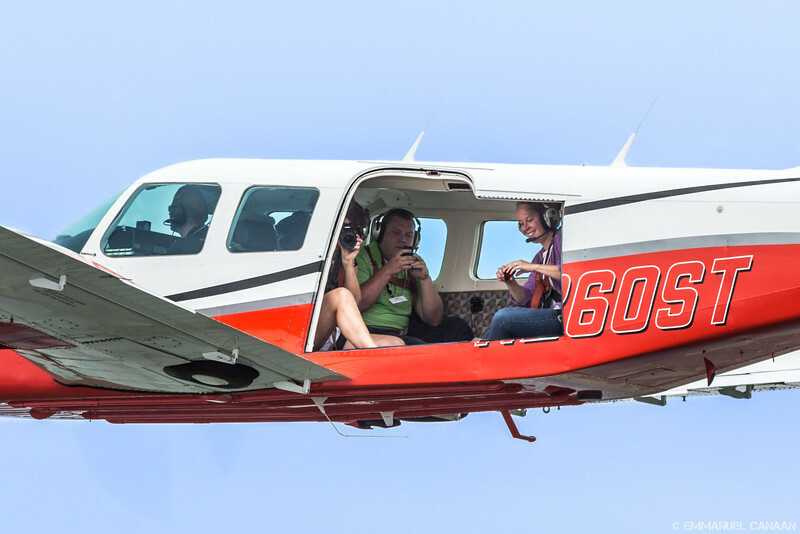 Well, it turns out I could do it and it sparked an interest in air-to-air photography that hasn’t abated yet. 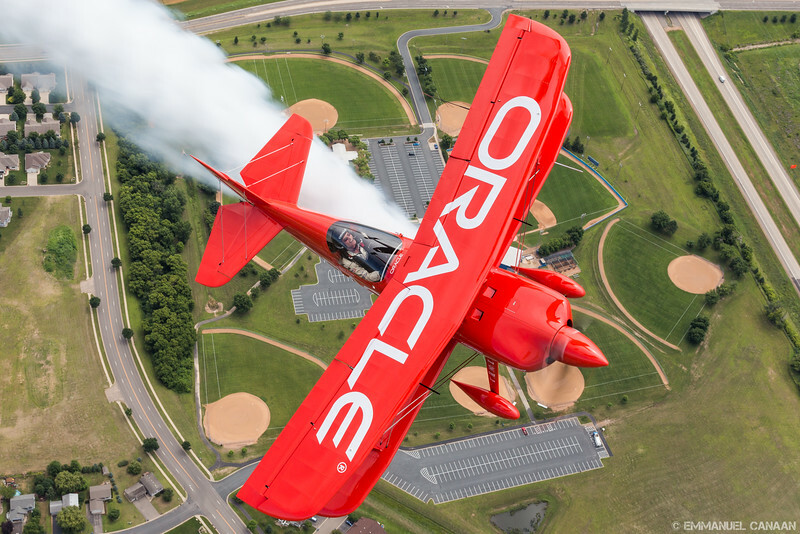 I still laugh when I think back to being jostled around constantly while trying to keep my hand steady, thinking I couldn’t possibly be getting these images in focus, and then hearing Team Oracle photo ship pilot Chad Colberg’s voice from the cockpit say, “Did you get the shot, or do you need Sean to do it again?” My reply was often a meek “yes, I got it” as I thought to myself, “can I really tell Sean D. Tucker, the world-famous aerobatic superstar, to do it again just for me?” Thankfully after one of his inverted “Top Gun” maneuvers, I found the courage to ask him to do it again after spinning through some blurry images on my camera screen. 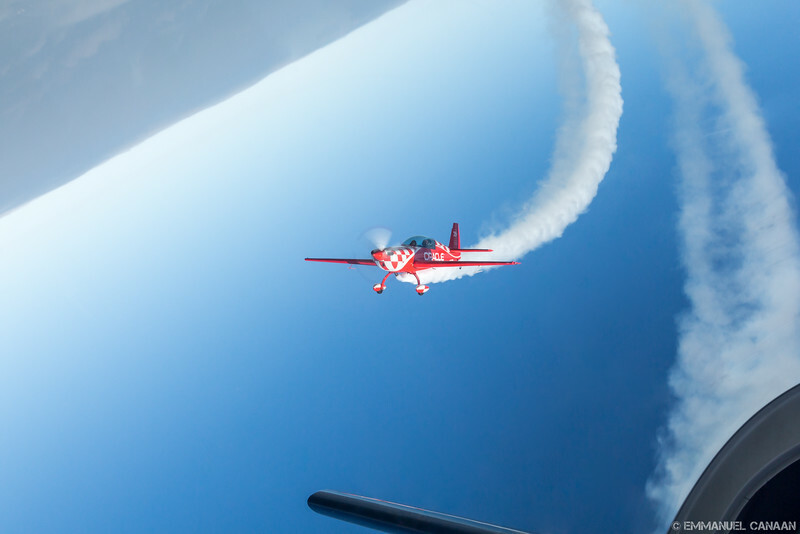 He deftly rolled his aircraft inverted one more time, and that’s how I got the shot. 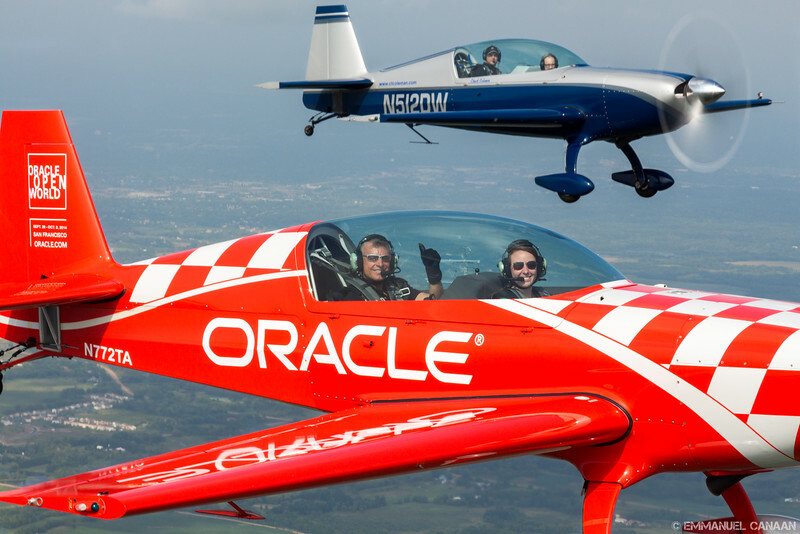 I am so grateful that my first experience with Team Oracle wasn’t my last experience with them. 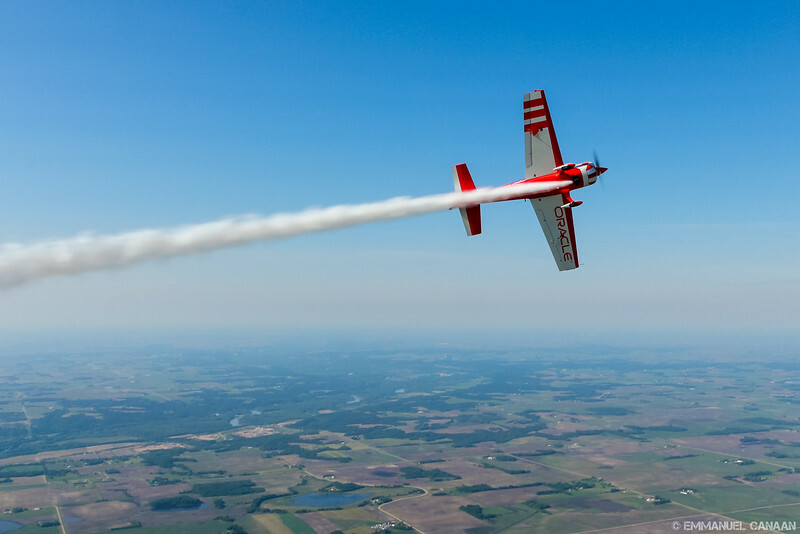 I have since had two additional experiences with them that have furthered my desire to do air-to-air photography as often as I possibly can. 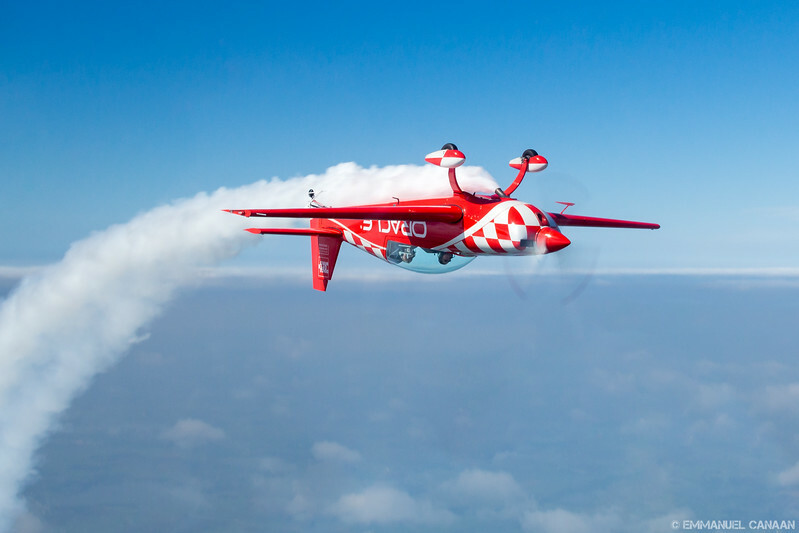 There’s a special something about air-to-air photography that excites me like no other side of aviation photography. The feeling of being up in the air, mere feet away from a powerful machine in its element is difficult to describe in words. The best I can do is with this one word: Bliss. 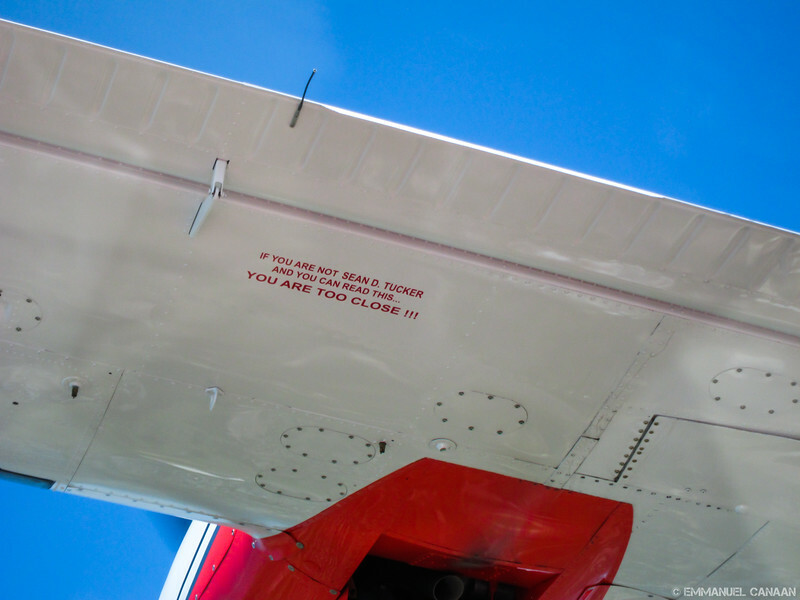 People often ask me if the aircraft is loud when you are that close. 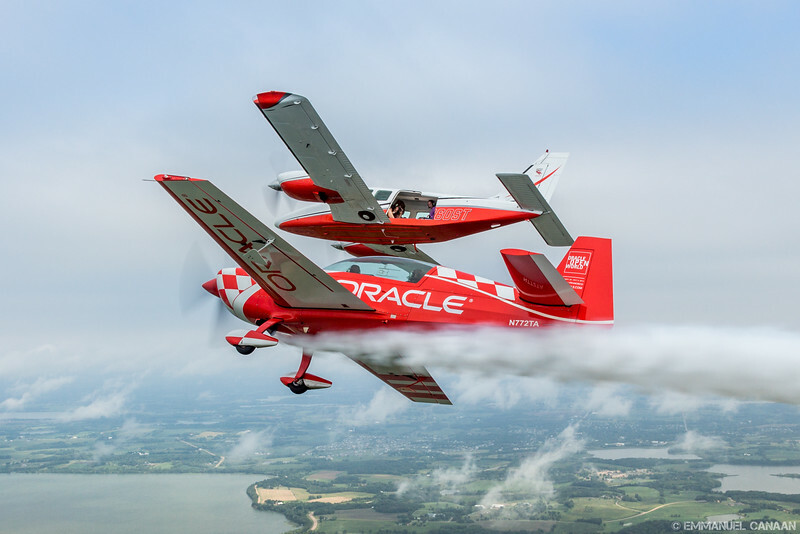 The rush of the air around my photo ship is usually loud enough to mask all noise from the aircraft in formation. The funny part is that I’m usually so engrossed in my photography that the world around me becomes silent. I really find it peaceful up there. We always do multiple customer rides whenever I shoot with the team, and on this occasion, Sean himself took up a rider. 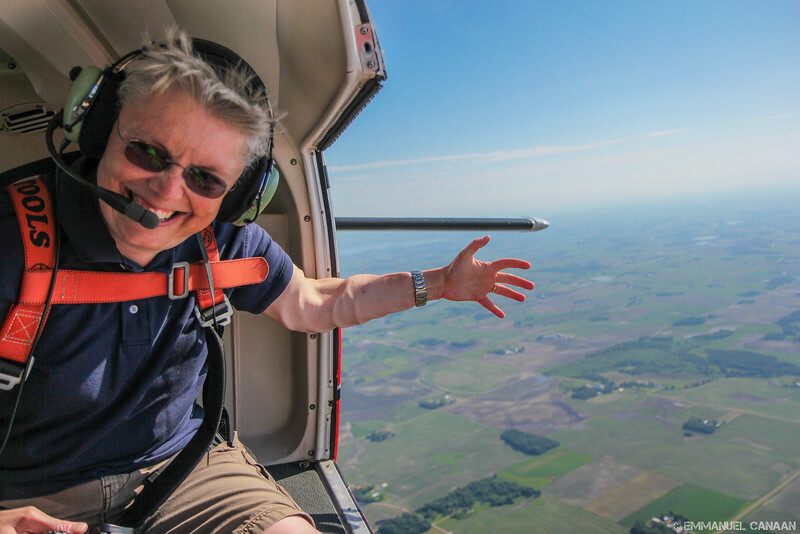 He loves these rides as he enjoys sharing his love of flight with others. This image was captured just seconds after takeoff. I wasn’t about to waste any opportunities to get a great shot! I smile a little extra when I see this image as it had been a cloudy dreary day all day. Lucky for us, we found a break in the clouds towards the end of the day. It was beautiful blue skies, smiles all around, and smoke on! Yeah baby! 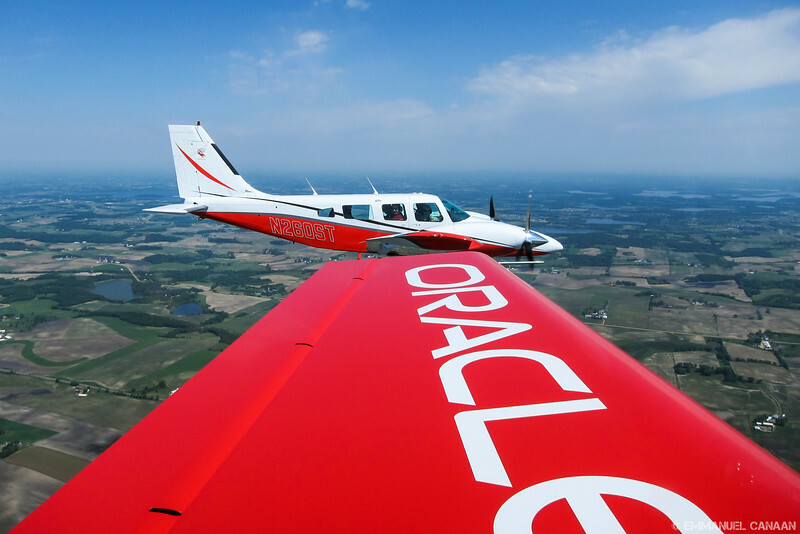 Up until this point, most of my images above were shot from the team’s Piper Seneca. 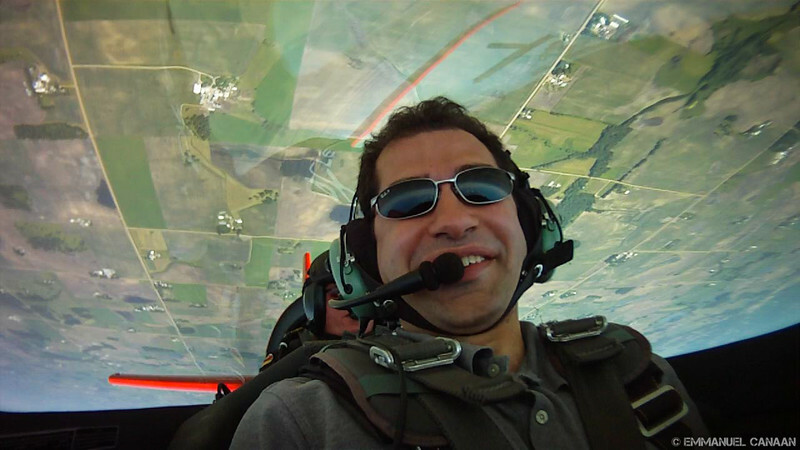 That was fun and mind-blowing by itself, but things really got interesting on my most recent air-to-air experience with the team in 2014, when we took it to the next level with aerobatic air-to-air. 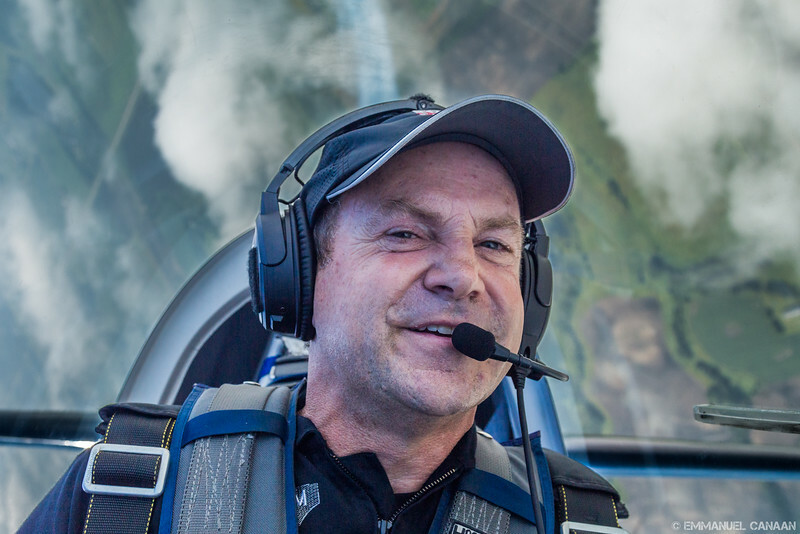 Rather than retell the whole story here, I really encourage you to check out the article I wrote for the International Society for Aviation Photography. I describe my experience in detail starting on page 38 of their digital magazine ISnAP. 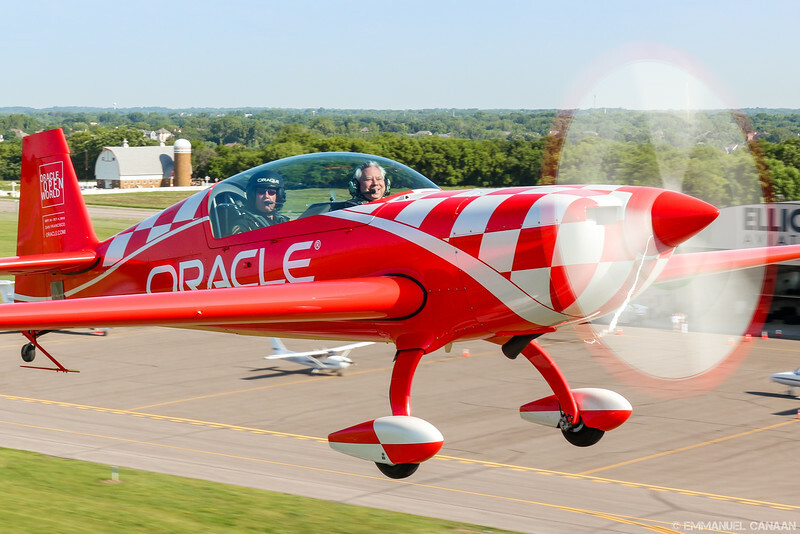 This image was originally captured in landscape orientation as Chuck Coleman and I rode alongside Sean D. Tucker in the same orientation he is in. Anyone I showed the image to couldn’t quite wrap their heads around how we were oriented, so I rotated the picture to a portrait orientation. “That’s it,” I yelled when I saw this. Hopefully the image conveys the heavy positive Gs I was experiencing as I took it! 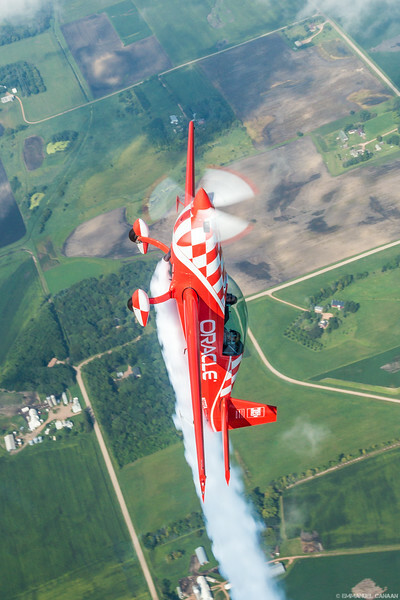 Having the chance to do air-to-air photography has been a dream come true for me. 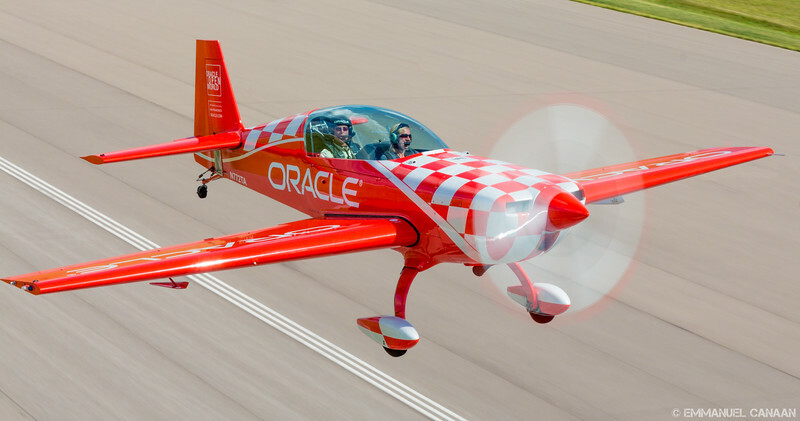 You’ll hopefully see many more air-to-air stories in the future as it is truly my favorite form of aviation photography. 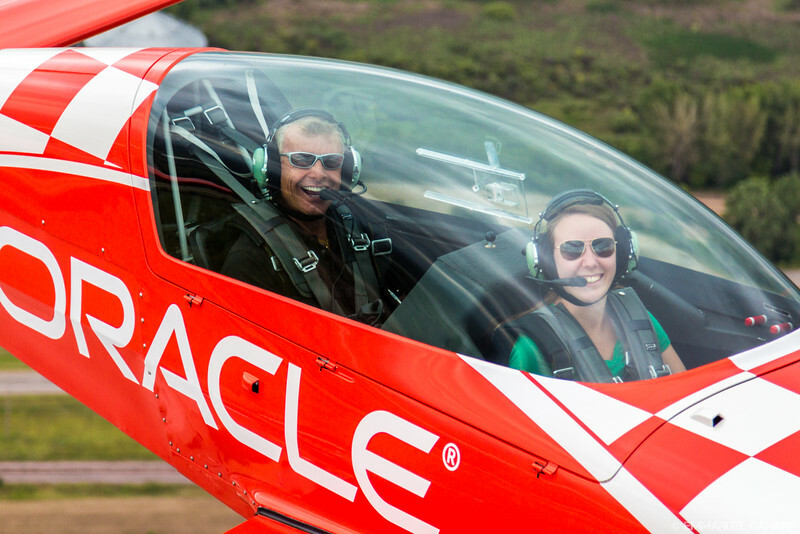 Thanks to Team Oracle, I’ve been able to learn that this is something I love doing. 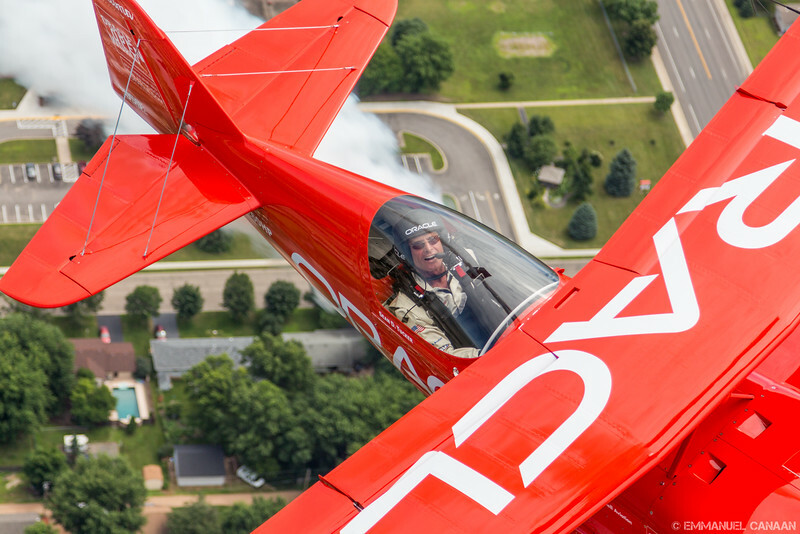 Stay tuned for the story of my fall colors Stearman shoot from the fall of 2014. Thank you to all who read my stories and enjoy my images!